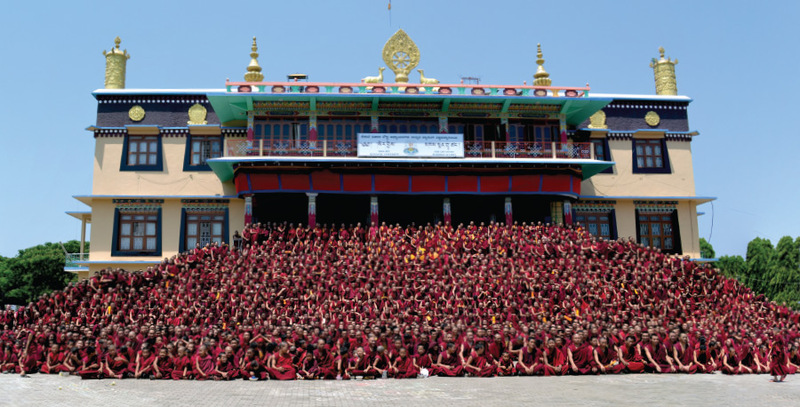 Sera Jey monastery in South India, with a total of 6000 thousand monks, is one of the three great Monastic Universities of the Gelukpa Tradition of Tibetan Buddhism. Charok Lama Rinpoche has been a student here since the age of 8, having secured a place after studying at Kopan Monastery in Katmandu since he was discovered and enthroned as the reincarnation of the much revered holy yogi of the Solu Khumbu region of the Himalayas. In his past life, Charok Lama was a Lama of the Nyingmapa Tradition, the oldest of the four traditions of Tibetan Buddhism. In his present reincarnation, Charok Lama is part of the Gelukpa Tradition. He sees no difference in the traditions and as he tells us, the practice of Dharma is the practice of subduing the mind and understanding the true nature of reality. As an alumni of Sera Jey, Charok Lama gives us this short description of life at a Buddhist University. I am a very strong believer of cause and conditions, and the extended form of cause and condition, which is “karma”. The conditions that have shaped my life and how it has turned out is truly a blessing, and Sera has been a big part of it. As someone who was brought up in a Buddhist monastic society since a very early age, I know it is a privilege to be in Sera, one of the biggest and greatest monastic universities that keeps the Nalanda tradition and Buddhist philosophy alive. It is a small monastic town, yet quite big for a monastery and it has an assembly of over six thousand monks being trained in the traditional way. It is amazing seeing the monks train at a very young age in the path, and even more astounding and inspiring to see the Senior gurus such as the present Ganden Tripa Lobsang Tenzin who has finished over 29 years of study as a humble monk in Sera, followed by the tantric college, having been appointed as the Abbot of the tantric college and being enthroned as the head of the Geluk Tradition at the age of 82. His is a golden heart that touches millions. I am so fortunate as He has touched my heart. He is my heart Guru! Like nearly every university, Sera comprises different houses. Sera Jey and Sera each have over twelve to thirteen different houses, but unlike other Universities, it takes a staggering 25 years at a minimum to finish one’s PHD course here. While these institutions do not offer courses that directly help you survive in a materialistic world, they do help students fortunate enough to be admitted to build a mindset that can overcome a multitude of problems that occur in the materialistic world, as well as all the causes and conditions that bring difficulties and sufferings. A lot of people wonder why it takes so long to complete the Program here that leads to the Geshe qualification. Well, the course consists of the five major Buddhist philosophy texts, which are a condensed and clarified version of the eighty four thousand teachings of the Buddha, or an extended form of the Lam Rim thoroughly laid out in categories, such as ahbisamaya, madyamika and tamana vartika. There is also vinaya, the study of all the different vows, from ordination to tantric vows. All these subjects are taught through reasoning and logic, which is done through debate. So anyone who successfully completes the Course will have at least a sound footing in the teachings of the Buddha. A completely different world known to few, lived by even fewer, and hidden to many, where ancient culture is intertwined with ancient wisdom, a world in which we are shown to perceive the true nature of things, and that reality is not in what we see but in what we do not see, a place where you are taught that the power of your mind has no limits. Here at Sera, one is taught to be humble and detached, with most leading simple lives trying not to be attached to material pleasures and learning to be content with what they have. For most, the source of happiness comes through the utilization of wisdom, through practice, prayer and serving others. The lifestyle is so simple that one may say it is boring, yet it is one of the most formidable courses one will ever encounter. Not saying that there aren’t any faults. I am personally not in favour with the rules and regulations in the monastery, which change with every appointed management. I have been trying to put up with the system, which, similar to many senior societies, tries to promote itself. But it lacks the educational background to survive into the twenty first century, with the power to keep such traditions, teaching methods and a philosophy known worldwide alive. I believe that the Tibetan monastic system can do better than what is currently offered. It can do better by adapting to the new conditions of the modern world. With the number of monks entering the monastery getting fewer each succeeding year, I fail to see a bright future if it keeps proceeding with its current approach, which for me is a very sad thought. Like many, I see great potential in these monasteries, which bring up great people who can help countless beings. 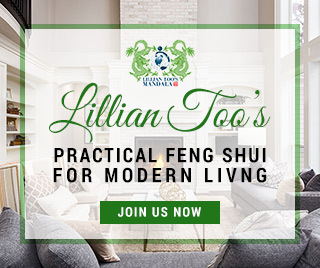 Despite that, the joy of getting to be a part of this world is nevertheless a blessing, and like many, I do believe in following a middle way that keeps up with the rapidly changing world yet promoting the ancient wisdoms. I do believe in following a middle way that keeps up with the rapidly changing world yet promoting the ancient wisdoms. Sera is a peaceful place without much outer interference, and we are provided with all the time and knowledge to work on ourselves, so at the end of the day, what matters to us is that we find the means to help others and to deal with our destructive emotions, and that is what Sera has provided me and many others with. Chorok Lama with Lillian and Prof Panovska in Jennifer’s home. Charok Lama offers this beautiful callligraphy of an instantly sketched OM MANI PADME HUM specially for her !